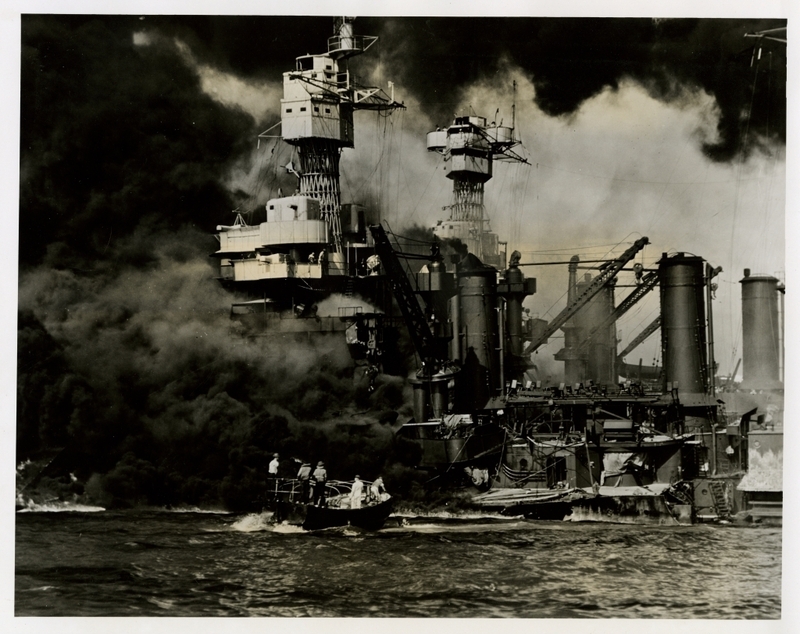 A small boat rescues a seaman from the 31,800-ton USS West Virginia burning in the foreground. Smoke rolling out amidships shows where the most extensive damage occured. Note the two men in the superstructure. The USS Tennessee is inboard. This photograph is part of a series of photographs from the U.S. Senate investigation of the Japanese attack on Pearl Harbor, 7 Dec. 1941.